You never get a second chance to make a first impression. What do you think of this old adage? I believe that it is absolutely true, whether we are talking about people or houses. 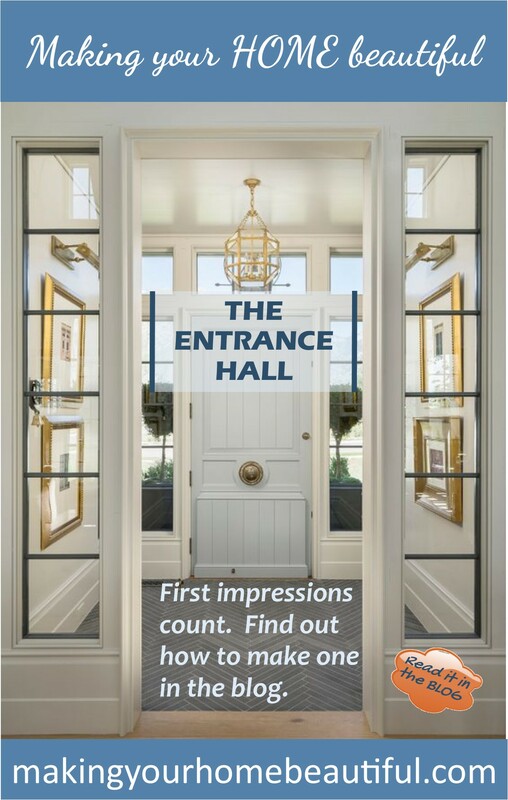 That first impression really does count and is particularly important if you are in the process of selling your home. 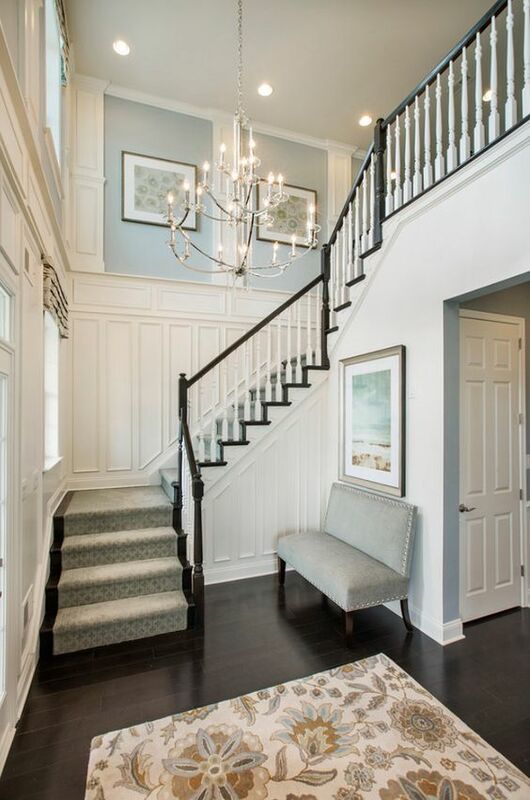 But really, you want to make a good first impression all the time so that when you come home from a long day, you have a nice welcoming hallway to greet you and you immediately feel relaxed. 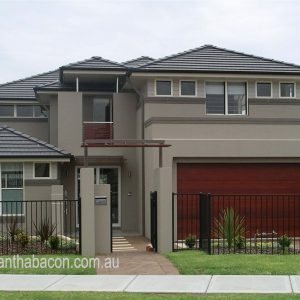 It is also really pleasant to have a place that feels right to welcome guests to your home. So don’t just treat this space as a place you have to get through to see the rest of your home. 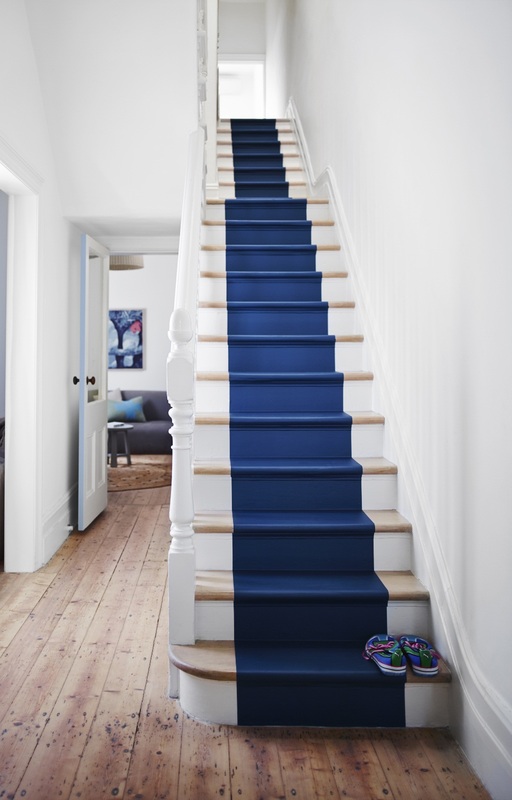 Treat your hallway as somewhere special so that you make that good first impression every time. Consider the size and shape of your hallway. Is it grand with a magnificent stairway or is it compact with rooms leading off of it? Even if the area is small, the one item that you really should invest in is a console table as this provides an opportunity to inject some of your personality into the space. This is where you can have fun and create the perfect vignette. 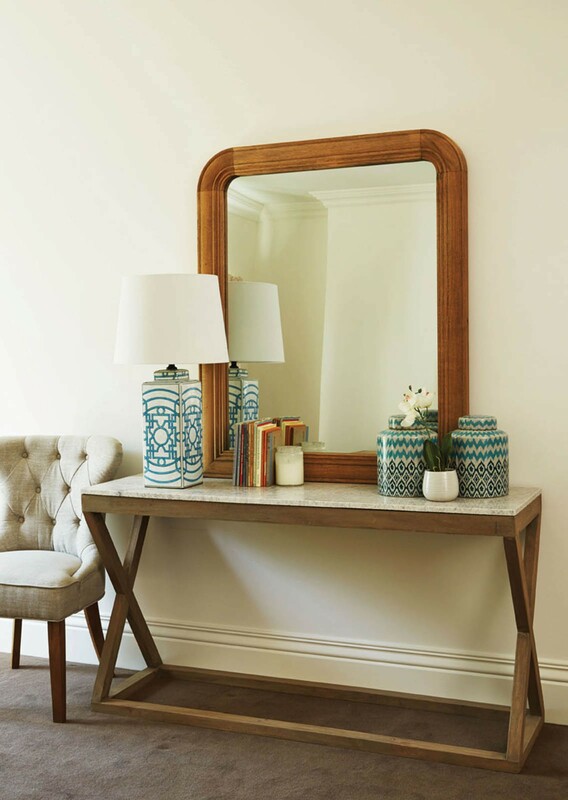 A console table top gives you room to display favourite pieces that say something about you and your home, for example a collection of photographs, books, a beautiful piece of porcelain or a bowl of flowers or vase of greenery. Or all of these! This is also a great opportunity to place a table lamp to provide ambient light and therefore a nice welcome and of course the all-important mirror or artwork will complete the vignette. Colour too is important as this, more than any other element, says a lot about you and your home and what visitors can expect. 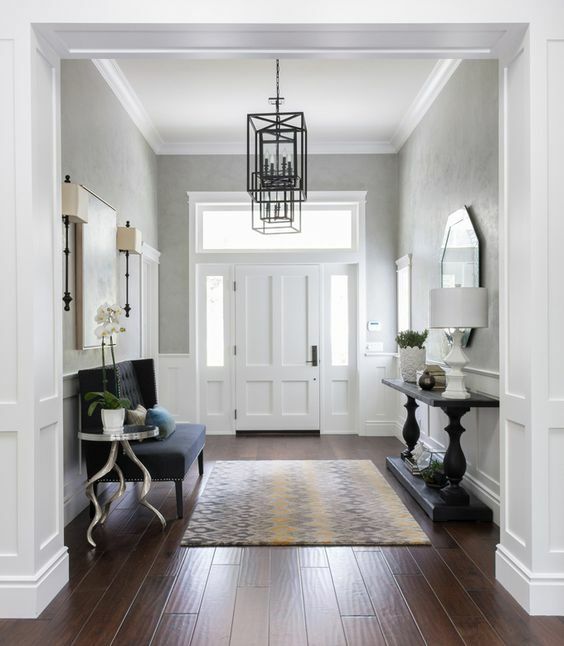 If your hallway is grand then you may have some wall panelling which can be painted an off white which acts as a perfect foil to a richer colour on the remaining walls. Your hallway may be oriented in such a way that you have a natural feature space which you could wallpaper or paint a different colour. I feel that the feature walls of days gone by where you select a random large wall and paint it a different colour have really had their day. However sometimes you might just have a small wall that is crying out for an alternative treatment, perhaps one that greets you as you enter and painted in a dark grey or an injection of colour can add to the overall look. Finally don’t forget the inside of the front door. I am often asked what the rule is here in terms of colour and there are a few approaches – all of which work and boil down to your personal preference. 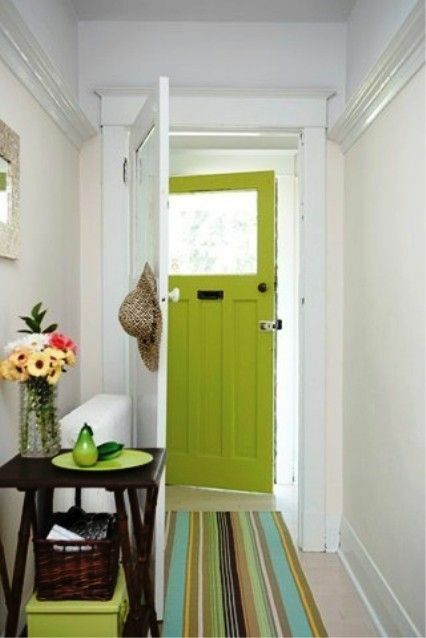 You can use the same interior colour that you are using for all your doors and trim, often an off white. Alternatively you can paint the inside of the door the same colour as the outside, so perhaps a smart charcoal blue or red! 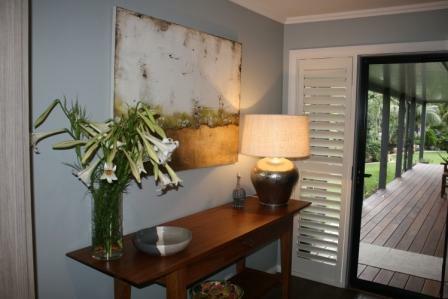 Or you could use the inside of the front door as your ‘feature wall’ colour. 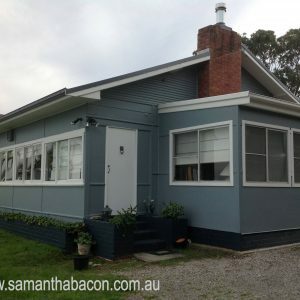 Are you struggling with colour? 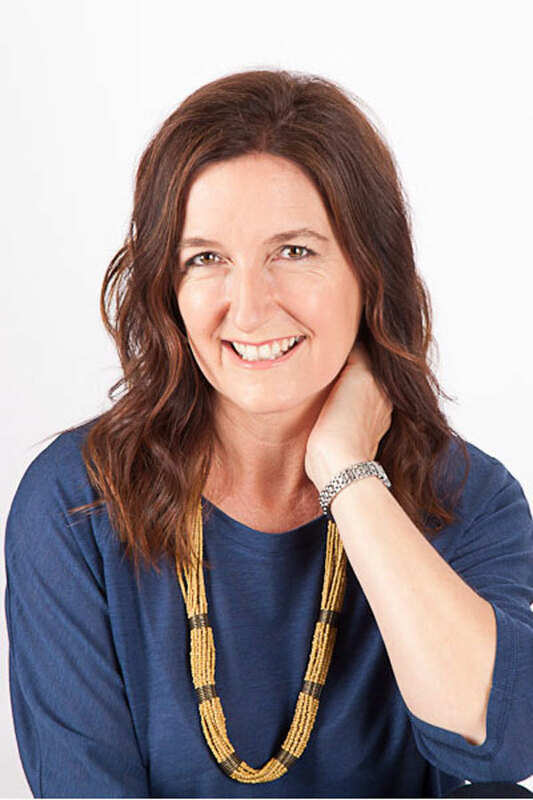 You might like to sign up for my Free Resource Library and download my free e-book on how to create a mood board. Related: What should you paint the inside of your front door? Hallway flooring is important to consider for 2 reasons. Firstly the practical one as the first metre of the area collects almost 90% of the dirt from your shoe. And secondly, hallway flooring creates a great visual opportunity. A separate vestibule area is an excellent idea if you are designing a home as this can be tiled, perhaps in a tessellated tile to make a decorating statement, but also to provide a great practical solution. Ensure, at the very least that you have a good quality door mat so that guests feel comfortable upon entering your home. Depending upon the size of your hallway, a rug here is also a good idea as it acts to collect any remaining dirt from your shoe but also again this will provide, colour, texture and defines the space well. If you have the room, I believe this is the next most important element for a welcoming hallway. A corner chair, window seat, bench or small sofa really defines the space as a room rather than just somewhere to quickly pass through. Together with a rug, table and lamp you are really turning what is often a neglected thoroughfare into a really nice place to be. Somewhere to sit and change your footwear rather than teetering uncomfortably and hanging onto the wall is a real advantage, particularly if you have a no shoe rule in your home! A bench too is an excellent idea, and really important if you have a tribe of children. On the topic of shoes, there is nothing worse than entering a home to be greeted by a pile of various sized footwear that you have to step over so consider what you do for storage here. Ikea has a very handy slimline shoe cupboard that is a perfect storage solution for small hallways but if you have the space then a built in cupboard here will be really convenient, particularly if you don’t have a separate large laundry/mud room. At the very least, have a large basket, a coat stand and an umbrella holder to keep these pesky items in good order! So many of my clients when they are designing and building a house are conscious about the amount of natural daylight for their hallways. 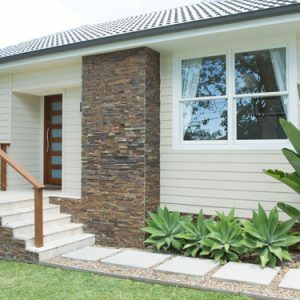 It is always a good idea to have a window in this area but often there isn’t the space so sidelights or glass panels can work in your front door. However, sometimes this feels like a security risk so hallways, more than any other area in the house, often rely heavily on a good lighting plan. A beautiful pendant will provide a talking and focal point for the area and a table lamp (or two) as part of your hallway vignette will offer soft ambient light but you should also install LED downlights in the ceiling to provide good quality coverage. Finally wall lights are back in fashion and hallways and staircases are a great place to install these. Remember that good lighting is really key to having a welcoming hallway. Artworks and mirrors are my go to decorating accessory. Nothing else says more about you than your choice of art and a favourite piece in the entry to your home will bring you joy and will tell your visitors so much about you. 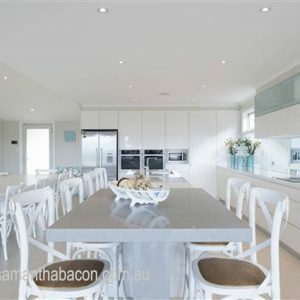 Alternatively a collection of photos or of a hobby that tells a story about your family is great to decorate this area. Mirrors in hallways too are an excellent idea to touch up make-up and arrange hair to ensure you leave the house each day looking great! Finally, fresh flowers or statement greenery really completes the look and sets the tone for the rest of your home. 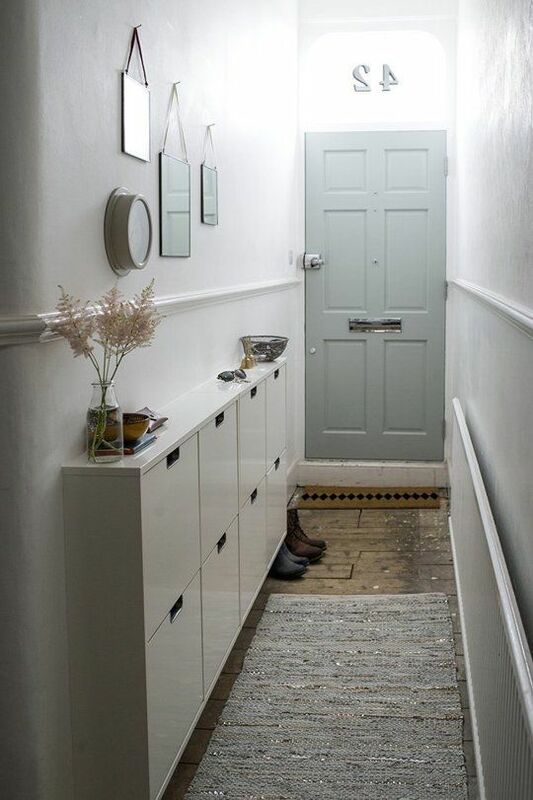 Tell me about your hallway space and decorating dilemmas – have you considered this space in your house before? I would love to have your feedback. You can also follow me on Pinterest for heaps of inspiration to make your hallway truly beautiful and achieve that great first impression. I do not feel privacy with my door light panels. Kids in my neighborhood look into my windows. Appreciate any ideAs. 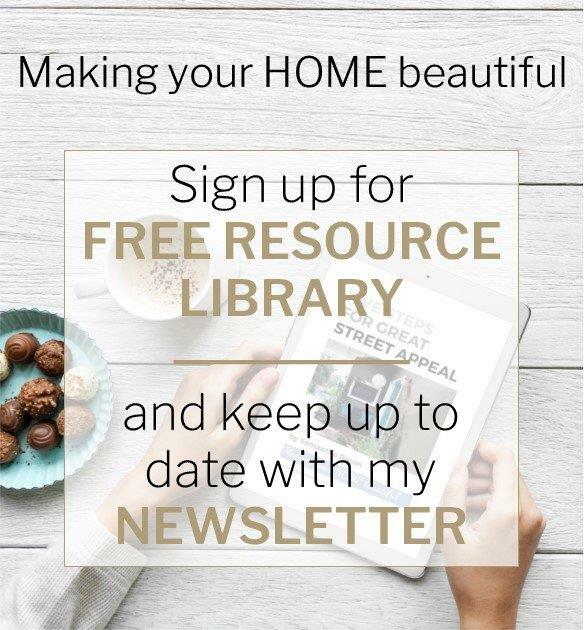 Can you tell me where the gold/brass lighting fixture is from that is on your title page “Making Your Home Beautiful- The Entrance Hall”? I have an entrance way wall that has a doorbell , alarm system, and key pad. I’ve been trying to figure out a way to disguise my wall so I can use artwork or hang a mirror. Got any suggestions? I love this console table too! 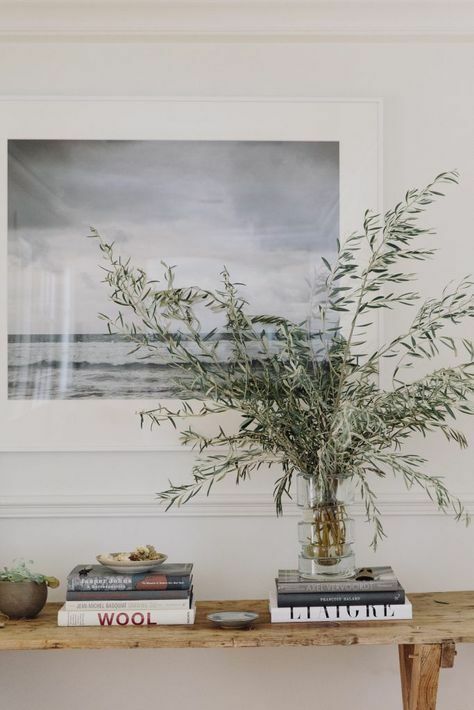 I don’t know where this particular one comes from but you will find a similar one in a French style interior shop – it looks like an oak table that has a beautiful dark grey wash – good luck! Hello! I am having a hard time deciding what to put in our front entryway? One wall is around 14-15′ long and the other wall is around 10′ long. And we just finished putting board and batten 2/3 of the way up on both sides. We bought a metAl bench that we put on the longer wall, but I am not sure if it is too short for that wall? Is there a way for me to include pictures? Thank you! I love the round side table in #7 ( stainless steel legs), where can I purchase one from?